I remember reading once that Steve Albini, the guy who produced Nirvana’s Nevermind, hated every band you’ve ever heard of. I get it. It’s cool to be on the cutting edge and into the next big thing before it hits. I know. I was the Steve Albini of Nutella. That’s right. 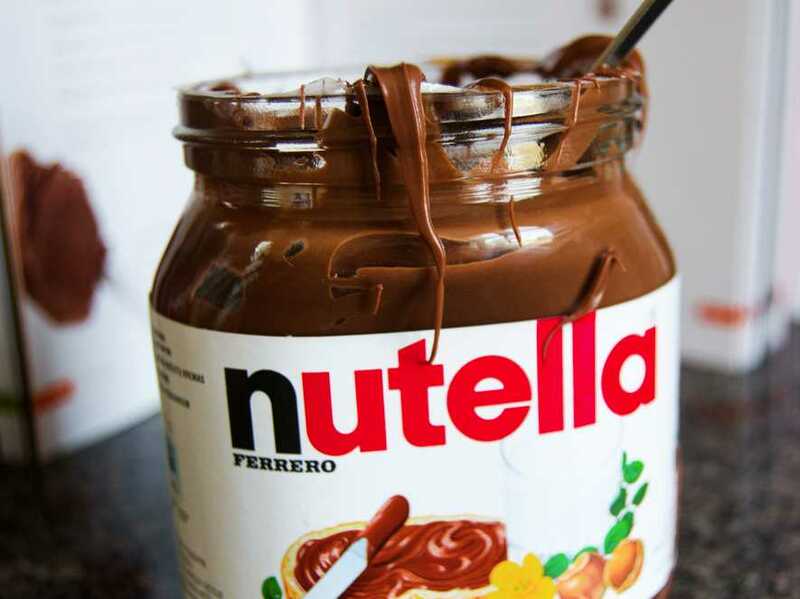 I was loving Nutella before anyone in my little circle. Actually, I guess my wife would really be the Steve Albini of Nutella since she introduced me to the Italian roasted hazelnut and coca spread shortly after we got together ten years ago. 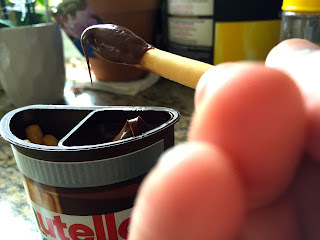 Then again, I guess her friend Lena would really be the Steve Albini of Nutella since she’s European and introduced my wife to the stuff when my wife was a kid. Then again, I guess Europe would really be the Steve Albini of… You know what? It doesn’t matter anyway. It’s all over now. That's because the stuff has become so popular that the company had to put out a press release on how to pronounce the name. (It’s New-tell-uh, by-the-way, which is how I always said it since I’m cool.) It’s so popular, in fact, that actual news sources actually picked up that press release and ran it because this is information their readers need to have. It’s so popular that you can now get Nutella in a handy snack pack complete with little bread sticks to dip in it. When something comes in a handy snack pack it’s officially mainstream. I guess that means that all of us Albinis have to hate it now, right? Well, I can’t speak for my wife and Lena and Europe but I think I’m going to stick with Nutella a while longer. The stuff is just too damned tasty to bail on because it’s become common. Besides, I don’t care about being cool and not caring about cool is really the coolest you can be. And nothing says you don't care how cool you look quite like being a grown man dipping a little breadstick in a snack pack and eating it. I'm Albini as hell right now.